To mark the occasion of Nature Chemistry turning 10 years old, the publication asked scientists working in different areas of chemistry to tell them what they thought the most exciting, interesting or challenging aspects related to the development of their main field of research will be. 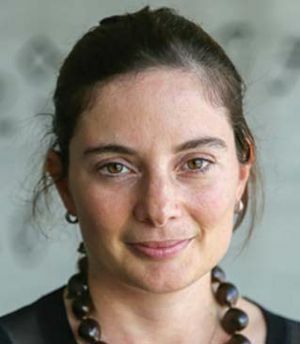 Clémence Corminboeuf, a member of MARVEL's executive committee as well as professor and head of EPFL's Laboratory for Computational Molecular Design, was asked to give her thoughts on computational chemistry. "Computational chemistry is currently undergoing several fundamental changes with advances in, for example, machine learning and big data analysis, GPU (graphics processing unit)-accelerated software and quantum chemistry on quantum computers. In particular, the machine learning of quantum chemical properties is booming and will likely lead to an acceleration in quantum chemical computations, providing new frameworks and protocols to quickly and efficiently screen and discover novel molecules and materials. While traditional approaches will remain, the increased use of machine learning will transform the nature, scale and complexity of problems that can be tackled computationally. Some remaining cross-community limitations will likely be overcome by creating national and international synergic networks that unite diverse scientific communities." The full article, with the collective vision of researchers "actively pushing forward the frontiers of chemistry and helping invent its future" can be found here.